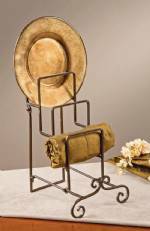 This four tiered wrought iron plate holder is perfect for keeping and displaying collector plates, dinner plates, trays, etc. 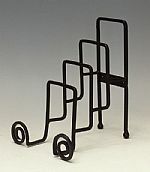 Each stand measures 6 1/2" Wide x 6 1/2" Deep x 8 1/2" High and can display up to 4 plates, trays, framed photos or thinner books. 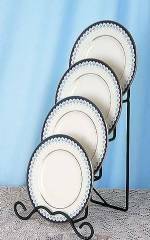 Tiered design shows off each plate on the stand. Can stand alone or be attached to the wall. 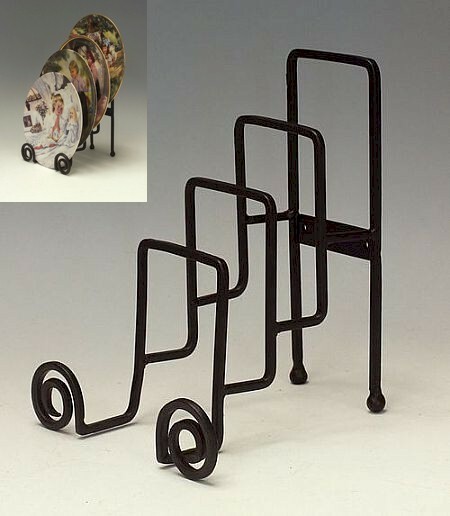 A great way to add style to the collectible or the everyday!